5.8 Free Look Period: The insured additionally to have 10days free look period to cancel the policy and premium is returned without interest. 5.9 Disclaimer of Claim: If the TPA/ Company shall disclaim liability to the Insured for any claim hereunder and if the insured shall not, within 12 calendar months from the date or receipt of the notice of such disclaimer, notify the TPA/ Company in writing that he does not accept such disclaimer and intends to recover his claim from the Company, then the claim shall for all purposes be deemed to have been abandoned and shall not thereafter be recoverable hereunder. 5.10 All medical/surgical treatment under this policy shall have to be taken in India. 5.11 Cumulative Bonus: The Cumulative bonus (CB) is allowed when a policy is renewed after a claim free year at the rate of 5% of the expiring sum insured. CB will be limited to a maximum of 30%. Renewals from other companies will not be eligible for Cumulative Bonus and will be treated as fresh insurance. (a) The Company sends renewal notice as a matter of courtesy. If the insured does not receive the renewal notice it will not amount to any deficiency of service. (b) The Company shall not be responsible or liable for non-renewal of the policy due to non-receipt/ delayed receipt of renewal notice or due to any other reason whatsoever. 7.0 MEDICAL EXPENSES INCURRED UNDER TWO POLICY PERIODS: If a claim spreads over two policy periods the total claim payable will not exceed the sum insured of the policy current at the time of the insured person’s admission to the hospital. 8.0 COMPANY’S LIABILITY: The Company’s liability in respect of all claims admitted during the period of Insurance shall not exceed the of sum insured and subject to Co Payment clause. 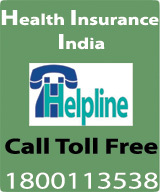 9.0 CO PAYMENT: Insured has to bear 10% all the admissible claims. 10.0 COST OF HEALTH CHECK UP: The Insured shall be entitled for reimbursement of cost of health check up undertaken once at the expiry of a block of every four continuous claim free years of New India’s Policy. The reimbursement shall not exceed 1% of average sum insured, excluding cumulative bonus, for proceding four years. 11.0 NOTICE OF CLAIM: Preliminary notice of claim with particulars relating to Policy Number, name of insured person in respect of whom claim is to be made, nature of illness/ injury and Name and Address of the attending Medical Practitioner/Hospital/ Nursing Home should be given to the TPA within 10 days from the date of hospitalization in respect of reimbursement of claims. Final claim along with hospital receipted original Bills/Cash memos, claim form and documents as listed in the claim form should be submitted to the TPA not later than 30 days of discharge from the hospital. The insured may also be required to give the Company/TPA such additional information and assistance as the Company/TPA may require in dealing with the claim. Waiver: Waiver of period of intimation may be considered in extreme cases of hardships where it is proved to the satisfaction of the Company/TPA that under the circumstances in which the insured was placed it was not possible for him or any other person to give such notice or file claim within the prescribed time limit. This waiver cannot be claimed as a matter of right. 12.0 PROCEDURE FOR AVAILING CASHLESS ACCESS SERVICE: Claims in respect of Cashless facility will be through the agreed list of Network Hospital/ Nursing Home/ Day Care Centre and is subject to pre-admission authorization. The TPA shall, upon getting the related medical information from the insured person/ network provider, verify that the person is eligible to claim under the policy and after satisfying itself will issue a pre-authorization letter/ guarantee of payment letter to the Hospital/ Nursing Home/Day Care Centre mentioning the sum guaranteed as payable and also the ailment for which the person is seeking to be admitted as a patient. The TPA reserves the right to deny pre-authorization in case the insured person is unable to provide the relevant medical details as required by the TPA. The TPA will make it clear to the insured person that denial of Cashless facility is in no way construed to be denial of treatment. The insured person may obtain the treatment as per his/her treating doctors advice and later on submits the full claim papers to the TPA for reimbursement. 13.0 REPUDIATION OF CLAIMS: TPA’s are authorized to repudiate claims if they are not admissible as per the terms and conditions herein. 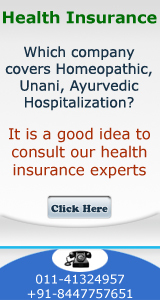 The TPA shall mention the reasons for such repudiation in writing to the insured person. The insured person shall have right of appeal to the Company if he / she feels that the claim is wrongly repudiated. The Company’s decision in this regard will be final and binding on TPA. 14.0 PAYMENT OF CLAIM: All admissible claims shall be payable in Indian Currency only. 15.0 PERIOD OF POLICY: This insurance policy is issued for a maximum period of one year.